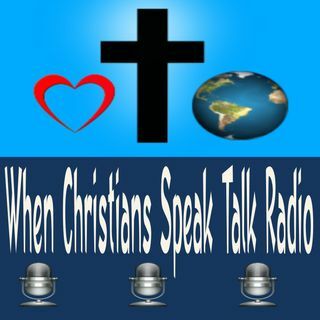 di When Christians Speak Inc.
Friday Night Joy is an online radio station that informs and listens to our listeners of current events. The W.C.S. interviews Christian guest speakers on a variety of topics. The host of When Christians Speak (Rev. Ray) is a strong believer in the power of intercessory prayer. Rev. Ray uses the gift of exhortation to minister to others as a platform of what God has given him to do. Rev. Ray is a Stroke Survivor by the new mercies of our Lord Jesus. So glad that he loves us all and has redeemed ... Maggiori informazioni us to the Father. Not by might, nor by power, but by my Spirit says The Lord!! To God be the GLORY!!!! Sponsored: Care for Center & Compassion "Caring Hands With An Open Heart"(301)773-7141 When Christians Speak Radio Broadcast Shows: Thursdays @ 12noon Declaring The Finished Work with Sister Pat Randall , "Friday Night Joy" With Rev Ray @7pm and Sunday Evening, "Bread of Life" with Rev. Ray @ 5 pm.